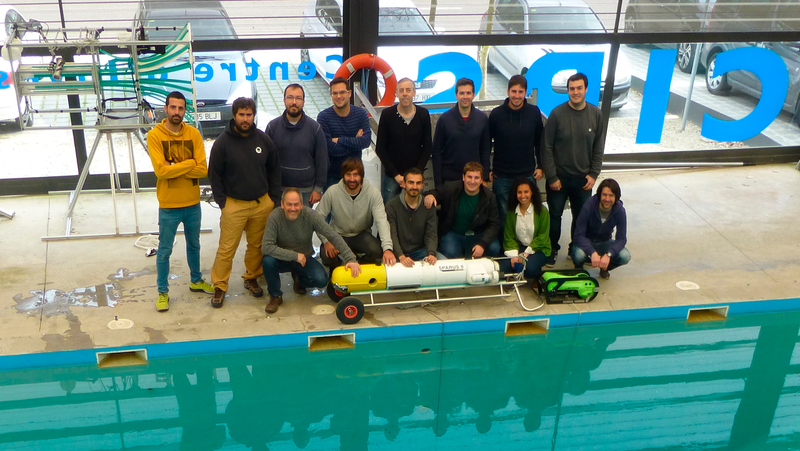 During the week of the 27th of March the experiments of the MERBOTS National Research project involving 3 teams form UJI, UIB and UdG have been held in Girona. The experiments where first performed at the CIRS water tank and then reproduced at Sant Feliu Harbor. The experiments involved two cooperative robots. SPARUS II AUV equipped with a lateral thruster and a forward-looking camera was used as a ‘flying camera’. 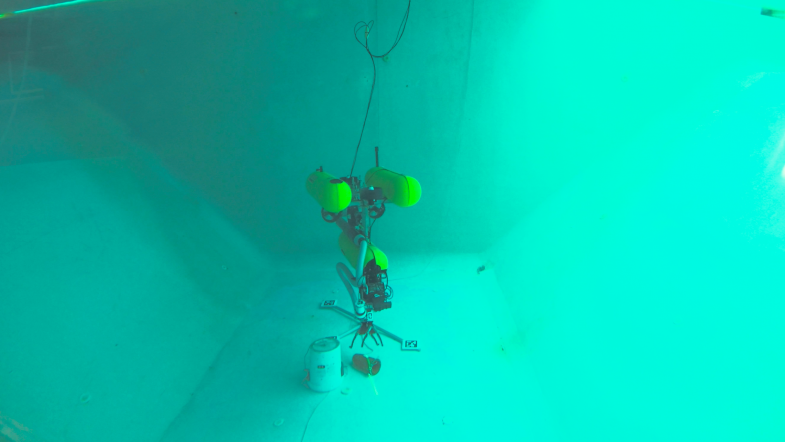 The robot was teleoperated to achieve a desired view of a target (an amphora) and Visual Servoing techniques were used to keep the robot in place. Then GIRONA 500 AUV equipped with a 4 DOF, a stereo cam and a real-time 3D laser scanner was used to autonomously grasp the object.